CoolSculpting is a fat freezing procedure that eliminates fat without surgery. We love it for its effectiveness at removing stubborn fat pockets that no amount of Pilates, gym or diet seem to shift. Read on for more information about this incredible non-surgical fat removal process to see if it may work for you. Where on my body should I try CoolSculpting? Skin Renu will develop a customised CoolSculpting treatment plan that addresses the areas you would like it have reduced. CoolSculpting can be used on many areas including the stomach, arms, hips, inner thighs, love handles, back fat, bra rolls and the pesky double chin. Ideal candidates for CoolSculpting include anyone with noticeable exercise or diet-resistant fat pockets. CoolSculpting is a cosmetic solution that specifically targets pockets of fat, it is not a weight loss programme. Noticeable results are typically seen within one to three months. During this period the stubborn fat layer will continue to decrease for up to six months. With each treatment destroying approximately 20% of the fat cells in the treatment area, some opt for a retreatment after this period to further enhance their results. Once the treated fat cells are crystallised and destroyed they are naturally eliminated from the body. What maintenance is required after the treatment? While CoolSculpting is a highly effective fat reduction technology, it ideally works for those closer to their ideal weight. Weight gain post-CoolSculpting means the untreated areas will be targeted. However, we have noticed that many people feel more motivated to look after themselves better after their treatment. What are the possible risks involved with CoolSculpting? CoolSculpting is non-invasive and most patients return to their normal activities immediately post treatment. Some of the sensations that can be experienced are a numbing or tingling to the treated area, some temporary redness, swelling or bruising can also be experienced. I have a big event coming up – when should I get my CoolSculpting treatment? If you have a holiday or wedding season on the horizon, we recommend scheduling your session three months in advance. Noticeable results won’t be visible for at least a month, and by three months you should be achieving closer to the maximum outcome for the treatment. Our highly experienced and passionate staff have the full range of Applicators to choose from to ensure for your ideal treatment. Realistic goals are set in careful consultation with you and advise given to explain your treatment and the expected outcome outlined. 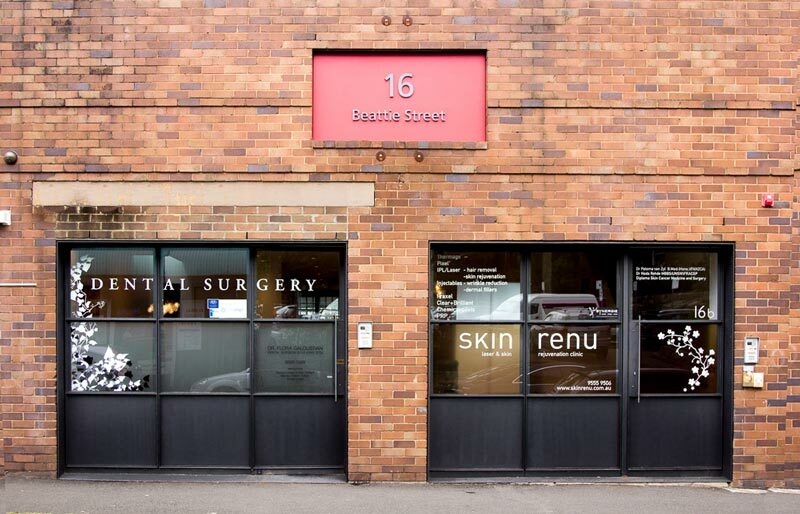 Skin Renu has just received the latest Advantage applicator, we are one of the first Sydney Clinics to do so. The newest applicators allow for a shorter treatment time, only 35 minutes, with greater comfort and with a larger area of tissue treated. Do you think CoolSculpting might be the solution you’re looking for? We would love to talk to you about it! Contact us now to make a time to come in for a consultation where we can customise a treatment plan for you.